Do you like dogs? Do you want them on your phone? 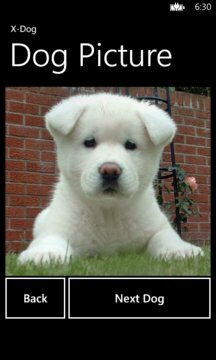 X-Dog is a simple little app that lets you look at dog pictures! 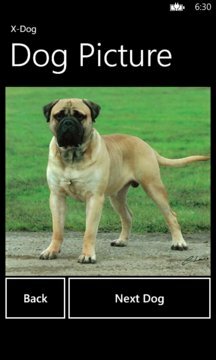 When you are connected to any network, and you run the app, X-Dog will show you hundreds of pictures of dogs! How exciting right?!?! But it gets better! Now for a limited time only, X-Dog is free!